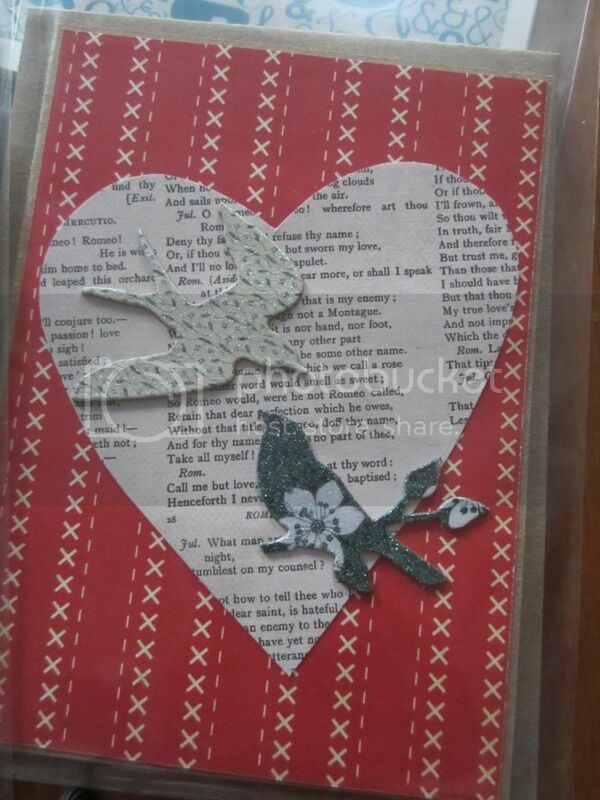 For some reason, I've really caught the Valentine's Day card-making "bug" this year! I've never been drawn to the heart motif necessarily, and yet right now I just can't seem to get enough of it. 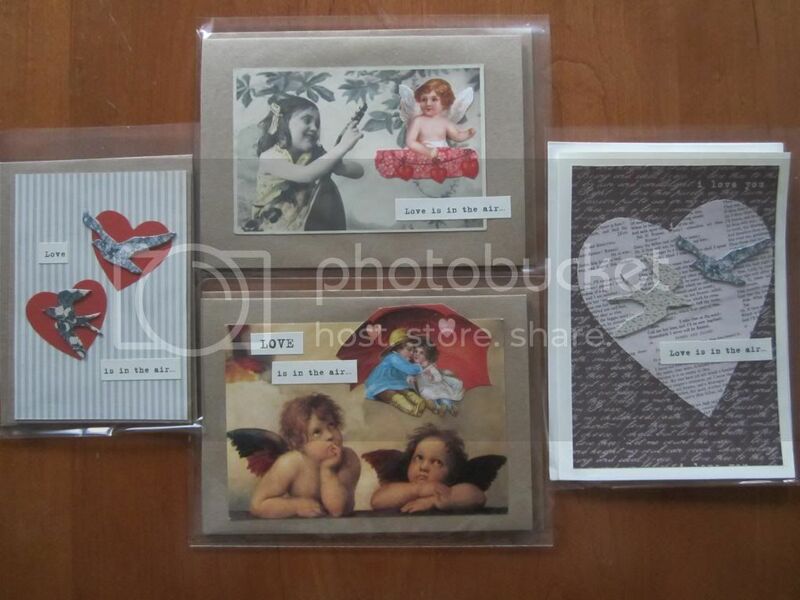 When I sat down to create Valentine's Day cards, four different series developed. 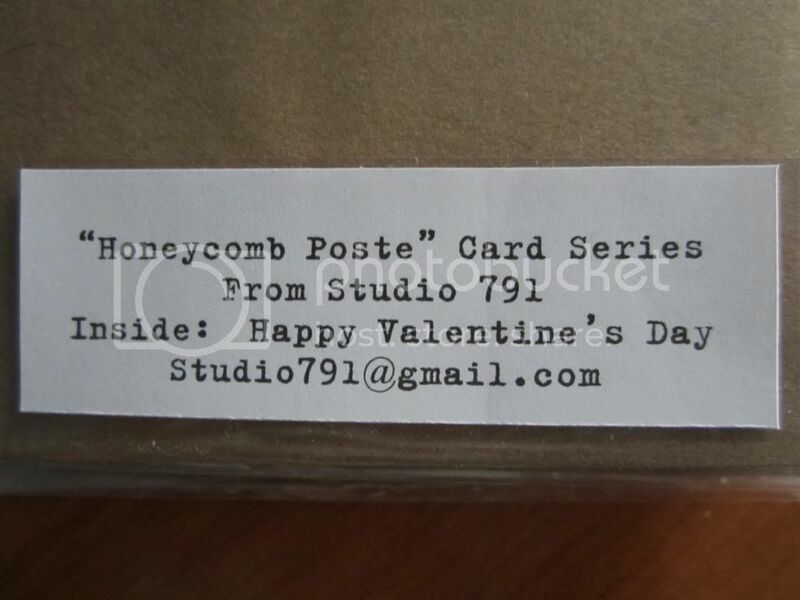 These labels appear on the back of the cellophane bags that hold each greeting card. 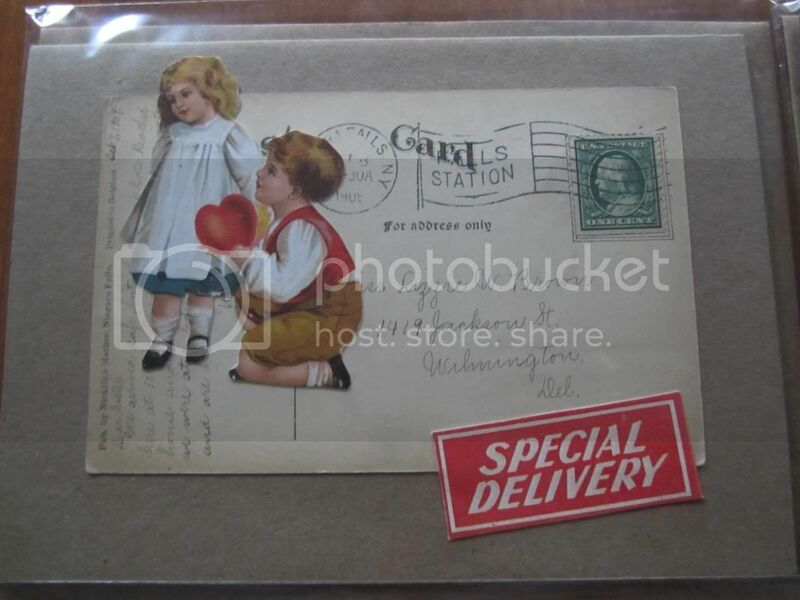 The first set I worked on I called my "Valentine Poste" series. They were inspired by a design from Colette Copeland in the Volume 4 2010 edition of Somerset Holidays & Celebrations magazine. 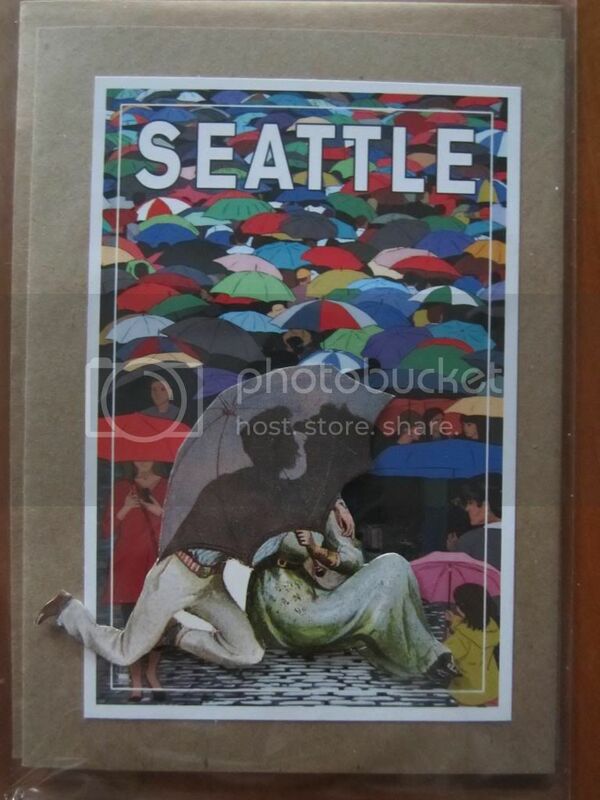 I used reproduction Victorian scrap and mailing labels, while the postcards are all from between 1910 and 1913 (except, perhaps obviously, for the "Seattle" postcard in the last photo!). If I had to choose, this card is my very favorite. 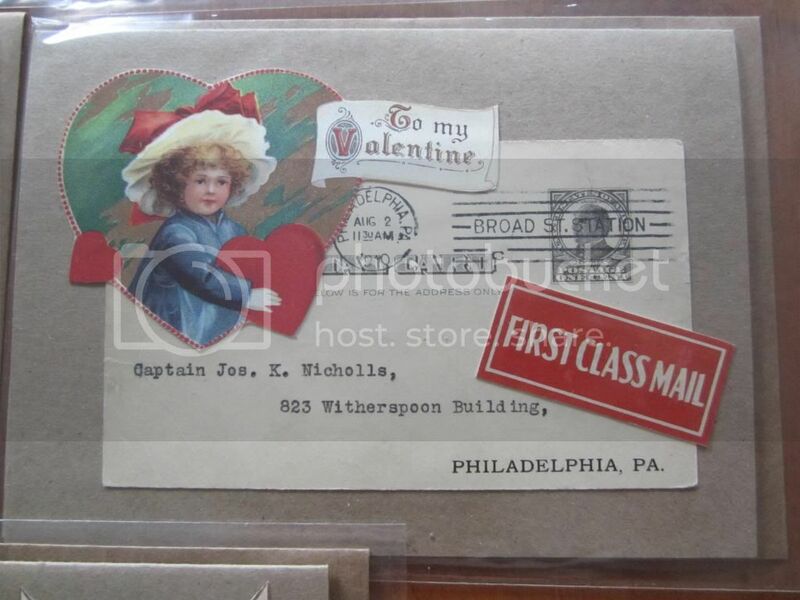 I love the look of brown kraft paper for these cards! 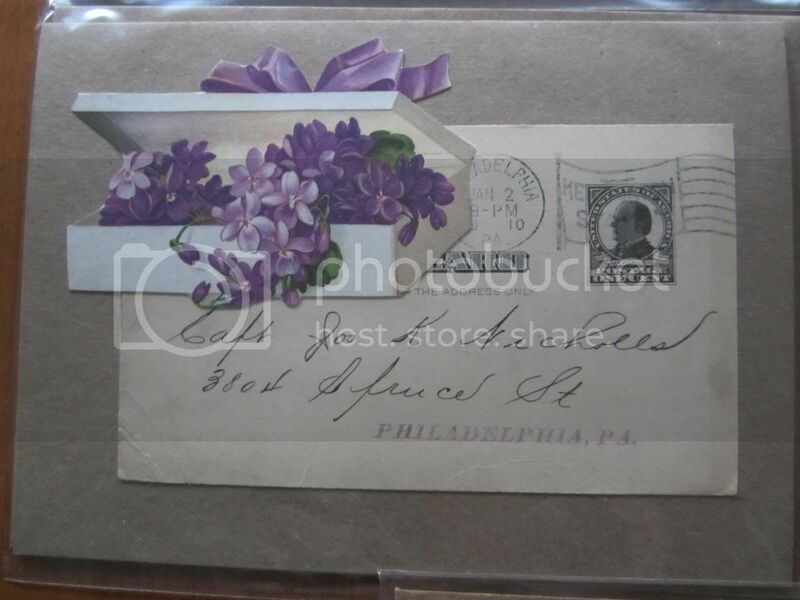 How neat that the purple color on the Victorian-style scrap matched the original "Philadelphia, PA" stamp perfectly! in time to make these cards when I needed to! 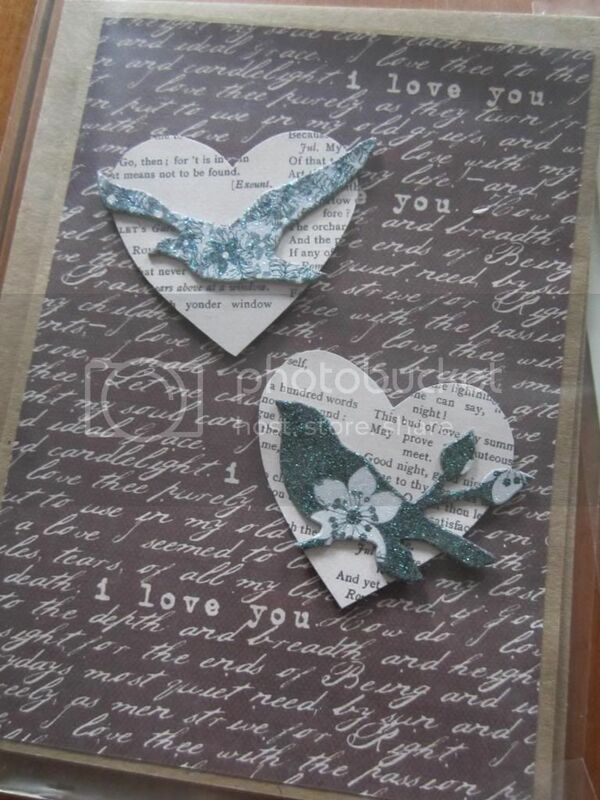 I added foam dots on the back of the couple at the forefront of this card to add some fun dimension to it. 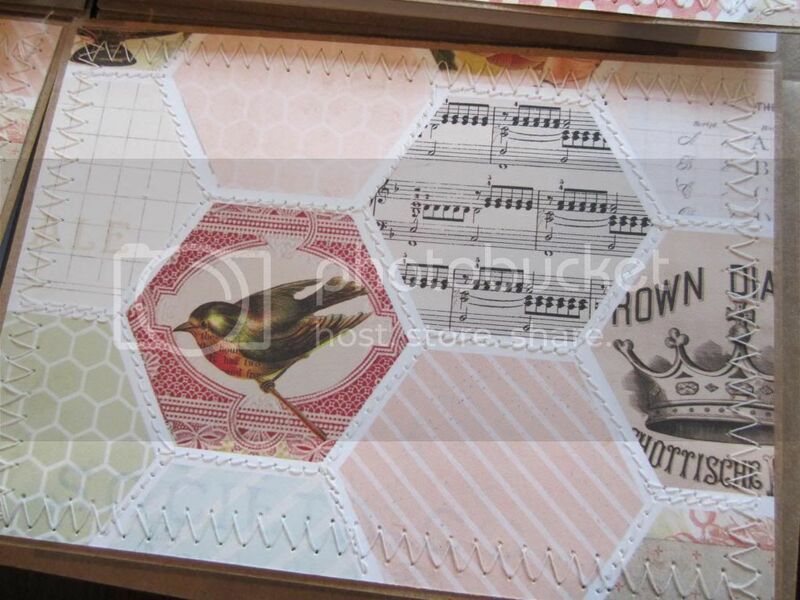 For my second series of cards, "Homeycomb Poste," I used a beautiful piece of scrapbook paper with collaged hexagons, which look just like a quilt. I just added the stitching to complete the look. 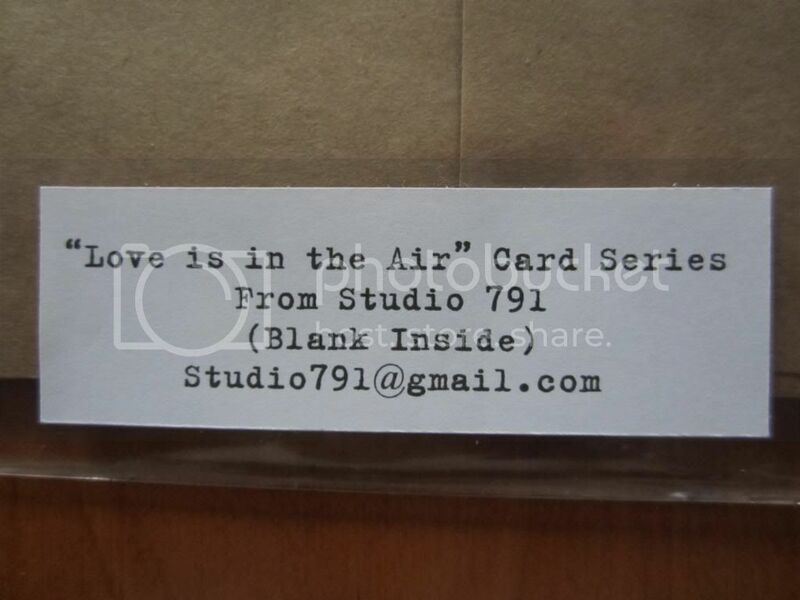 There are a total of six of these cards. 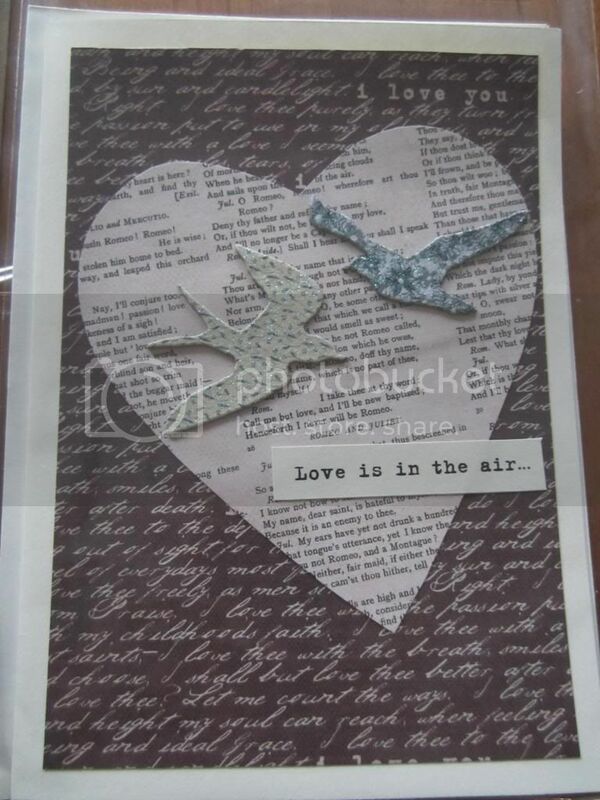 The third Valentine's Day series I made is called "Birds of a Feather," which I think is a fun sentiment for the holiday. And, as you can see with almost all of my cards this season, I had to "put a bird on it"! 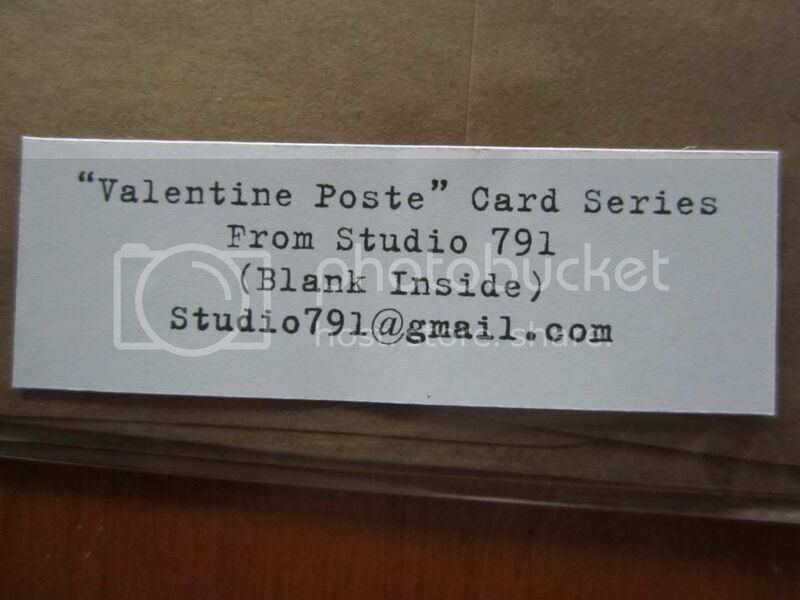 These are all quite different from one another, and some have a "Happy Valentine's Day" sentiment inside, while others are blank cards. It's hard for me to resist adding some stitching to my projects! 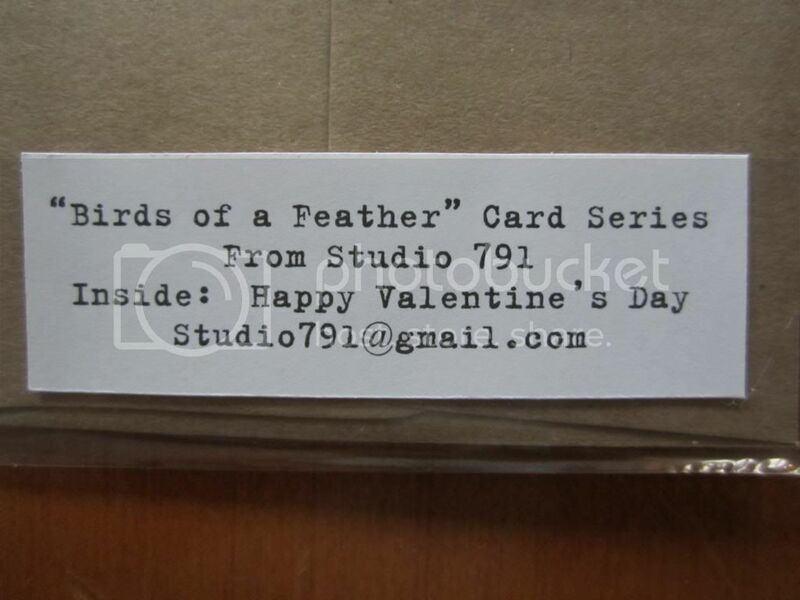 Some of the cards do not acutally SAY "Birds of a Feather" on them, but the sentiment is still there! 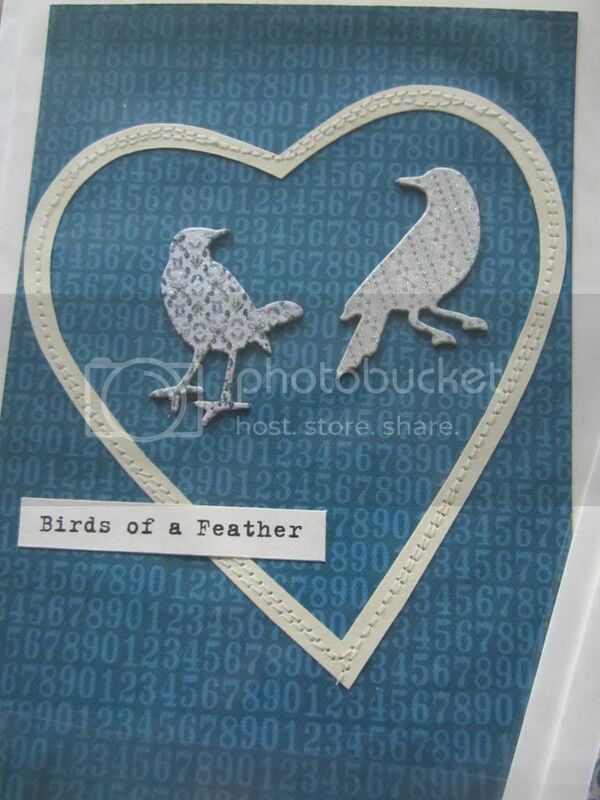 I used the foam dots on the back of the hearts to add some dimension to the card. 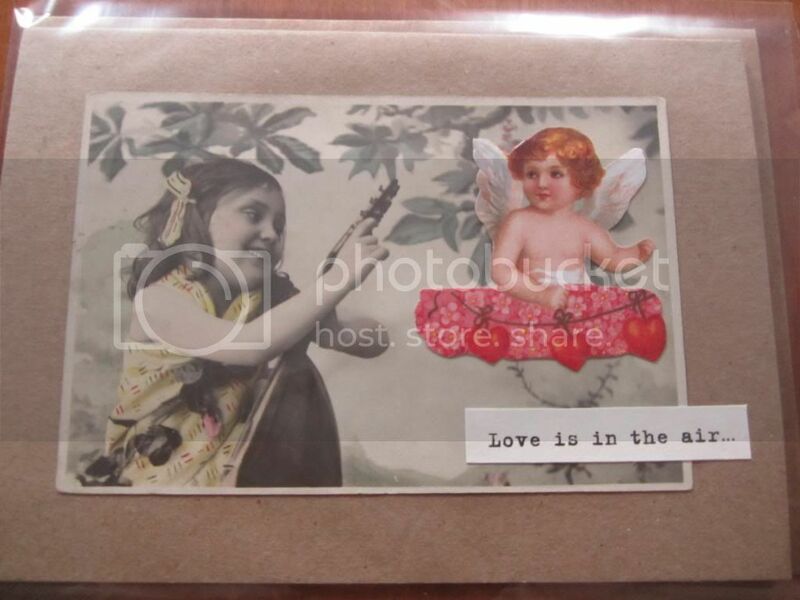 The fourth and final Valentine's series that I created is called the "Love is in the Air" series. These cards are also all quite different from one another. 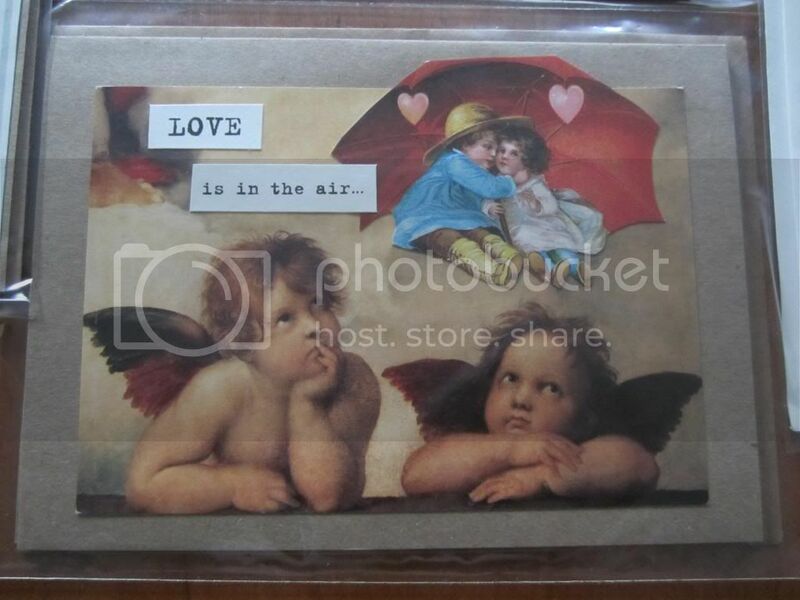 I used a postcard of Raphael's famous angel duo that I purchased in Italy for this card. 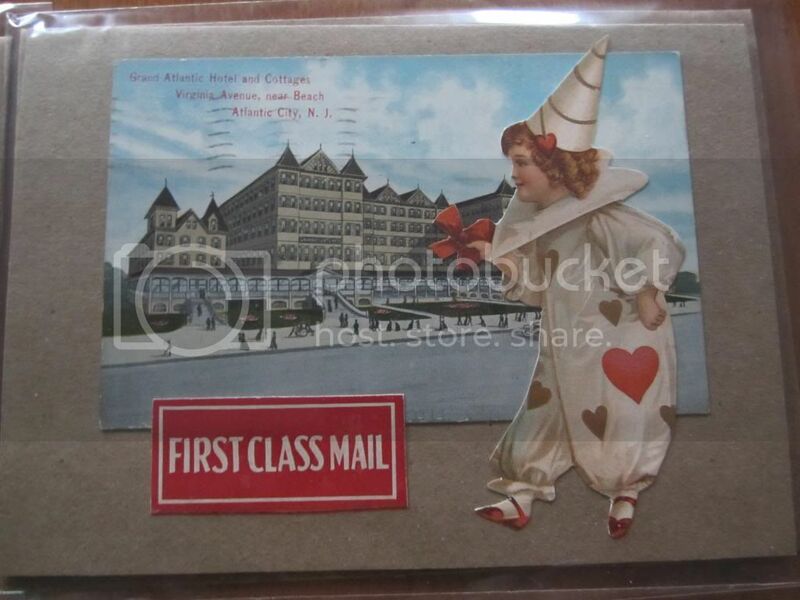 This is a vintage postcard from the auction I frequent, with reproduction Victorian scrap added. Still putting a bird on it! Amazingly enough, after all these cards, I'm still playing around with hearts. I will share with you three fun ways to create heart embellishments for your Valentine's Day cards and other artwork in my next post! Yikes!!! 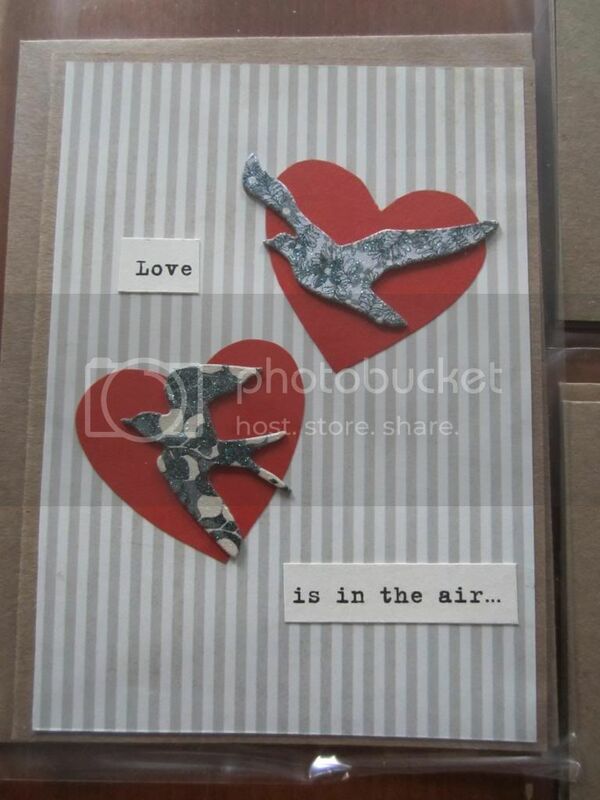 You have really been busy making Valentine cards. Thanks for the eye candy and inspiration -- I am supposed to trade them with some mail art folks and I needed a little kick to get me started! I love how creative you are. I scan your blog hoping some of your creativity will run off. But unless I can do it using a computer, or even better mixbook.com, then I'm out of luck! Thanks for sharing your awesomeness! These are inspired! Couldn't even begin to decide which series I liked best! Amazing the ideas you have. You really are on a roll! Lovely work. I am glad you have created some Valentine's cards. They have been a help to finish designing mine. 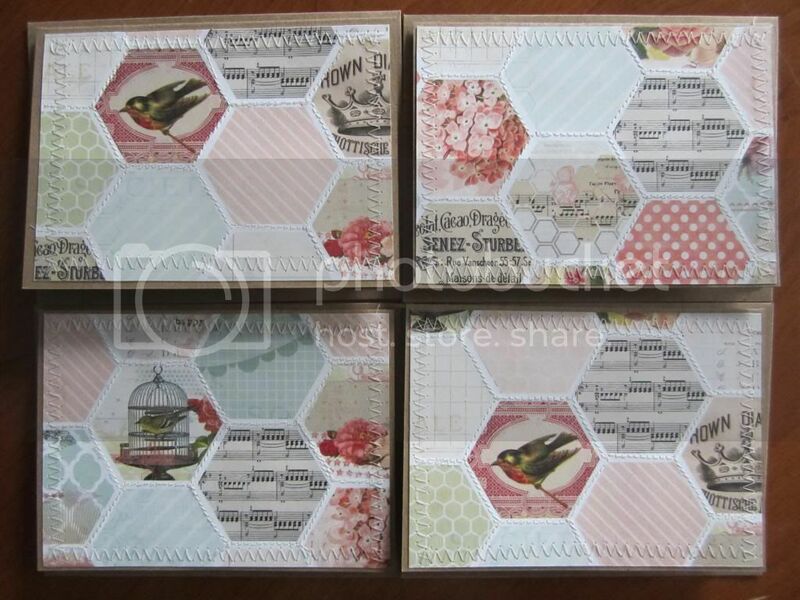 I have just one more to go and the cards with the birds have given me some ideas to complete it. Thanks! 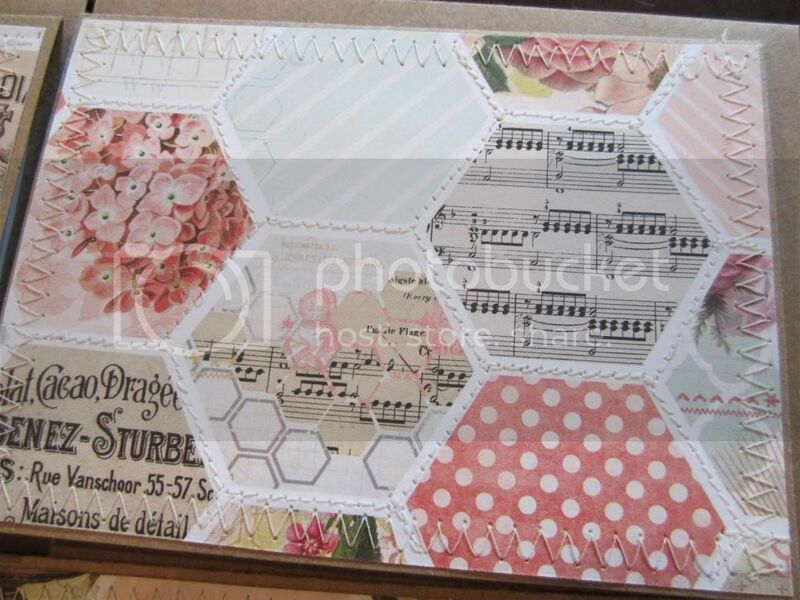 Lovely cards all of them! 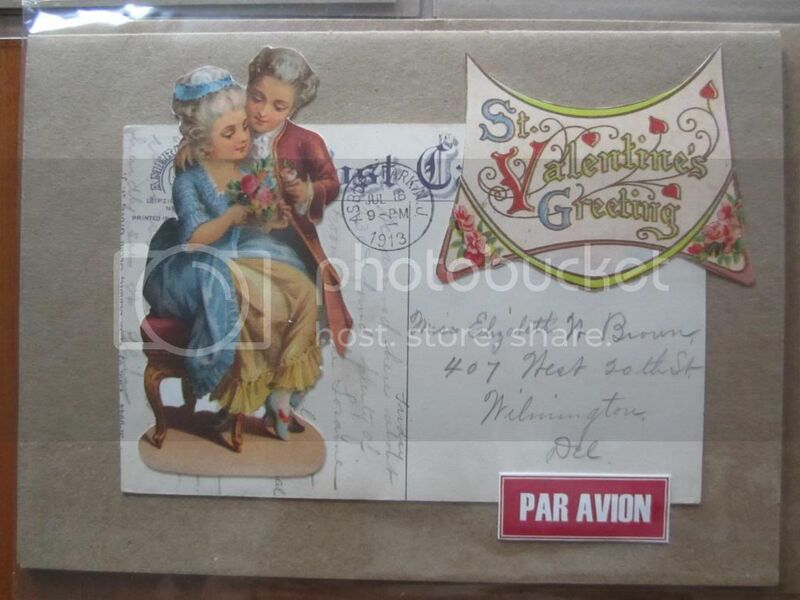 I'm especially fond of the Victorian Valentines. So cute! Wait a minute... are these for sale? 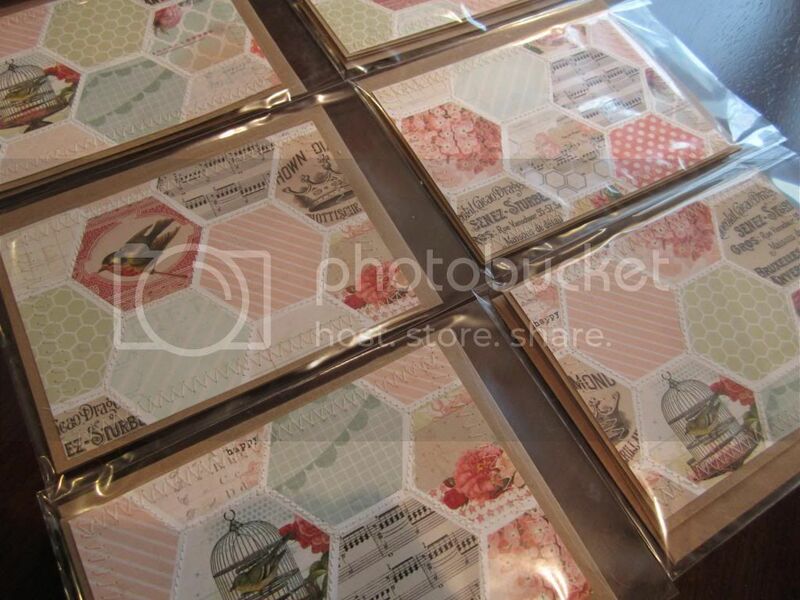 I absolutely love those Honeycomb cards. How cool to stitch on them! I like the bird cards, too! All your work is so well done and professional looking. Beautiful cards!!! I've caught the Valentine craze also this year for some reason!!! It's so much fun!!! Thanks for sharing your wonderful cards!!! Hi Andria...you have really been busy! 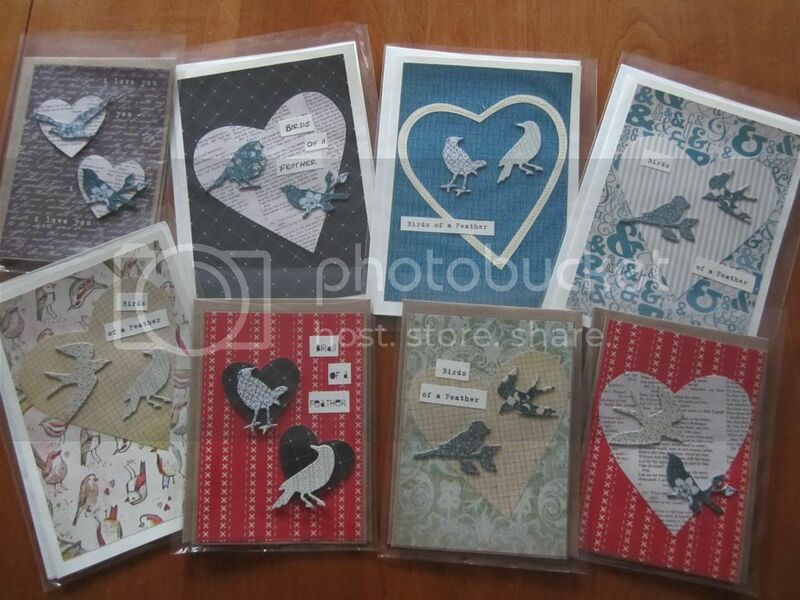 I can't decide if I like the Victorian cards or the bird cards best. They are all lovely...you are very creative. Have a great weekend!